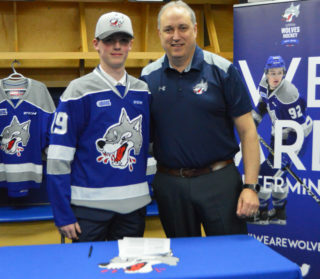 The Elgin Street barn was rocking on Friday night when the Sudbury Wolves hosted the Windsor Spitfires for the one and only time this season. Shane Bulitka, Quinton Byfield and Ukko-Pekka Luukkonen earned first, second, and third stars of the game that helped bring home a 4-1 win over the West Division rivals. Final shots on goal were 46-23 in favour of the Wolves. 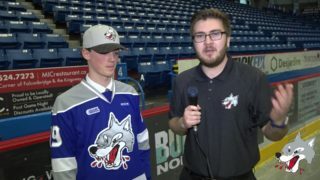 It was a slower than usual start for the Sudbury Wolves who out-shot the Spitfires 13-9 in the opening frame. Both Wolves goaltender Ukko-Pekka Luukkonen and Spitfires goalie Kari Piiroinen stood tall in the first, not allowing either team to score. The Wolves picked up the pace moving into the second period beginning with Darian Pilon who launched a rocket into the Spitfires net 0.54 seconds into the frame to give Sudbury a 1-0 lead. The Spitfires were unable to match his goal before the end of the period and the Wolves would head to the dressing room up by one after forty minutes. The Wolves continued to have the upper-hand in shots on goal as they outshot Windsor 32-12 after 40 minutes. In the final frame, Shane Bulitka scored just under 8 minutes into the third to extend the Wolves lead to 2-0. 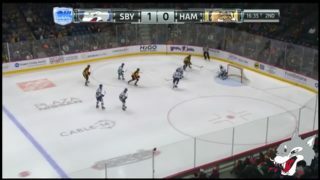 Windsor centre,Tyler Angle, put the Spitfires on the scoreboard just under the midway mark of the period. Ukko-Pekka Luukkonen made the initial stop but the puck went off Angle’s body and into the net. The officials made the call upstairs, looking for goaltender interference, but it was called a good goal. 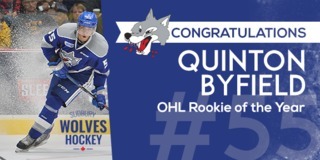 Quinton Byfield extended the Wolves lead to three after he fired in a one-timer past Kari Piiroinen with 7:11 left to play. 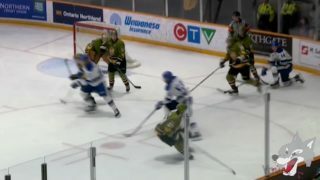 With just under three minutes left in the third period, Windsor pulled Piiroinen for the extra attacker. Nolan Hutcheson then raced to the puck and pushed it into the empty net to secure the 4-1 final. The Wolves will return to home ice tomorrow night at 7:05pm when they take on the Sarnia Sting for the one and only time this season in the Wolves’ den. The Wolves will welcome back former wolf Anthony Tabak who was traded to the Sting at the trade deadline. Tomorrow’s game also marks the first time that Adam Ruzicka faces-off against his old club. Great seats are still available. 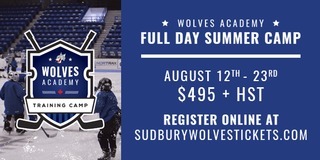 To purchase tickets online, visit greatersudbury.ca/tickets or Sudburywolves.com. Tickets are also available in person at the Sudbury Arena Box Office.